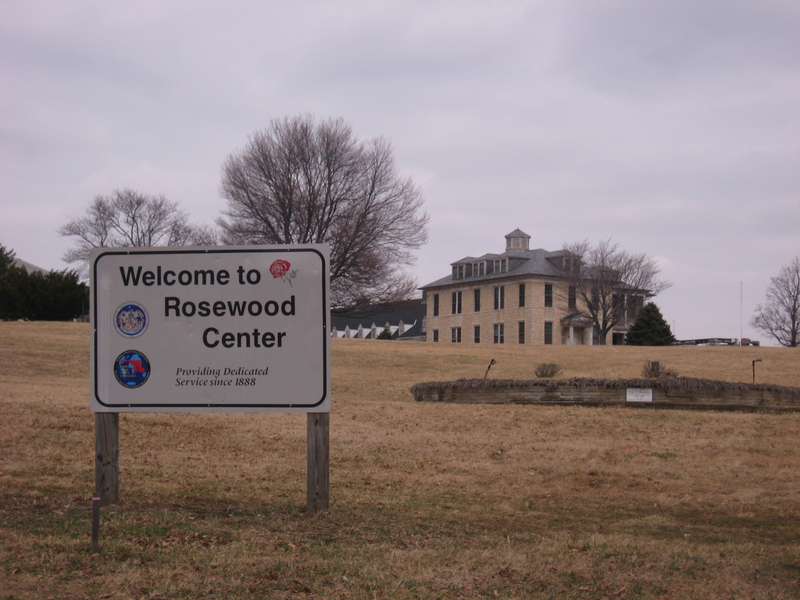 The Rosewood Center, located in Owings Mills, Maryland, was established in 1888 as the Asylum and Training School for the Feeble-Minded. From 1912 to 1961 it evolved into the Rosewood State Training School and in 1969 became merely the Rosewood Center. It became abandoned in 2009. The Center began life as a special school for children between the ages of 7 and 17 but was woefully underfunded and at over-capacity. The school’s mandate was “the receiving, care, and education of all idiotic, imbecilic, and feeble-minded persons.” Boys were taught how to farm, garden, and do carpentry whilst girls were taught sewing, washing, milking, horticulture, and “domestic service.” The school was to be self-sufficient, where all the food is is grown or raised on the premises by the boys and the clothes and table linen woven by the girls. These children were also used to construct new buildings and expand the location in 1892 and 1900. The farms operated constantly until 1960. The school suffered from even higher over-capacity when Maryland mandated all mentally ill patients at country almshouses be transferred to state institutions. The school unsuccessfully tried to expand to accommodate non-white students and epileptics. At its height in 1968, the school houses 2,700 patients. By 1943 the school changed from housing and teaching children to accommodating physically handicapped individuals of all ages and interning people for life. By 1950 the school changed its mandate from caring and nurturing the infirm to simply housing them away from society. The conditions at the Center sharply deteriorated from constant over-crowding and a lack of staff. In 1949, the Baltimore Sun described the Center as “Maryland’s Shame.” Thankfully by 1960 the Center’s population dropped as the focus of institutionalization shifted to rehabilitation of patients. Despite this, in 1981, the US Justice Department declared that residents at Rosewood “failed to receive minimally adequate care” and report of malpractice, neglect, and abuse were rampant. In 1989 the Center was condemned and new facilities were built across the field from the old. These new facilities housed over half of Maryland’s disabled until they, too, were closed in 2009 for good. Because of numerous cases of arson the premises are actively patrolled by security. Be cautious if you visit as our friends got fined $50 for trespassing.